Kasey Gifford is from Idaho Falls, Idaho but now lives in Portlandia and she may never leave. She’s really into animation and I don’t mean just watching One Punch Man, although she does watch One Punch Man and recommends it, but she studies the history of animation. History! I don’t even look at my browser history. Her ancestors come from Northern Ireland and that’s where she derived her nickname from. She’s known as Killskerry in the t-shirt world. 13 killskerry t-shirts on the Shirt List. Kasey has an interesting quirk if you could call it that. She doesn’t use PhotoShop or Illustrator to create her designs. She doesn’t even use Manga Studio. She uses Adobe Animate. She calls it Macromedia Flash because that’s what it was called when she started to learn it. I studied it for a while myself, too when it was new and even though I knew it was now under the Adobe umbrella I didn’t know that the name had changed. Anyway, as you can see, it works for her. 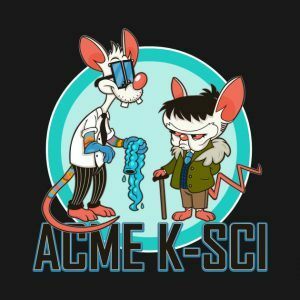 She is able to create awesome vector designs with it and then beautiful pop culture t-shirts are born. Read more about Killskerry below. Where did the nickname killskerry come from? Killskerry is a bastardization of Kilskeery which is a small town in Northern Ireland. I started using the name after finding out my ancestors on my mom’s side of the family probably came from there. I discovered it after doing some basic genealogy work for a High School project and just thought it was a cool word. I ended up spelling it the way I did because the real spelling was taken as a name on MSN Messenger or Blogspot or whatever I was using at the time. Back in ye olde days of the internet. The ICQ days it was…when we used floppy discs and cuneiform on papyrus. I see on Twitter that you are based in Portland, Oregon. Born and raised? I was born and raised in Idaho actually! Idaho Falls which is a pretty middle-sized town with a fair population of cows and potatoes as well as people. I left to go to school in Portland and I haven’t left since then because I love it here. Do a lot of painting in my free time but I also love to write. I also collect animated films and really like studying the history of animation. I also watch a loooooooooooot of movies and play the occasional video game. Pop culture. Pop culture is what I do with my free time. There are a few things listed as current on your LinkedIn profile. What do you say when someone asks what you do? For simplicity sake, I usually just say I work in the animation industry or I’m an artist. The more complex answer is I work as a designer in the animation industry but my work can range from storyboarding to logo design. An artist sometimes needs to wear a lot of hats. I started becoming interested in art around….four? Five? I wanted to be an animator for as long as I can remember. I started taking actual classes and winning little student art contests when I was six. There was this Mexican restaurant in my hometown that awarded a free dinner to the kid who drew the best placemat picture every month. Mom would take me there for lunch just to get free dinners. That’s creating ART. I see you have a Bachelor’s Degree in Media Arts and Animation. 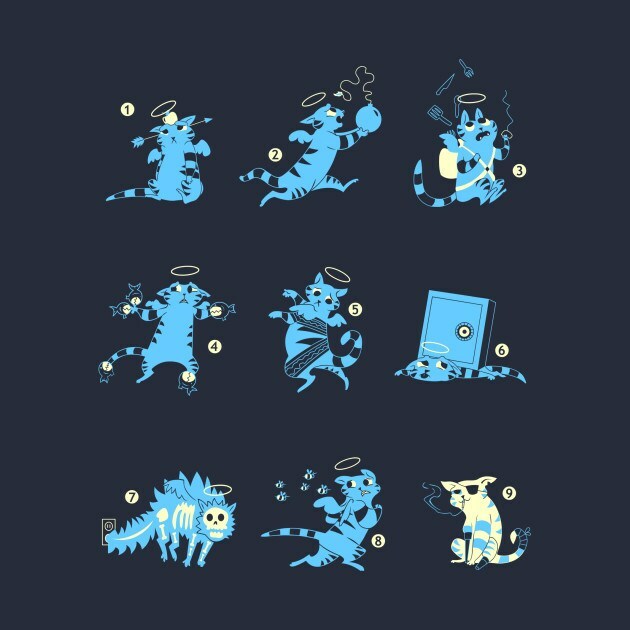 Did this help you in your t-shirt art? It did! I went into a four-year program and managed to get out in three by just taking classes through the summer. When I started there the Flash animation program was still brand new and I focused on learning how to use it. 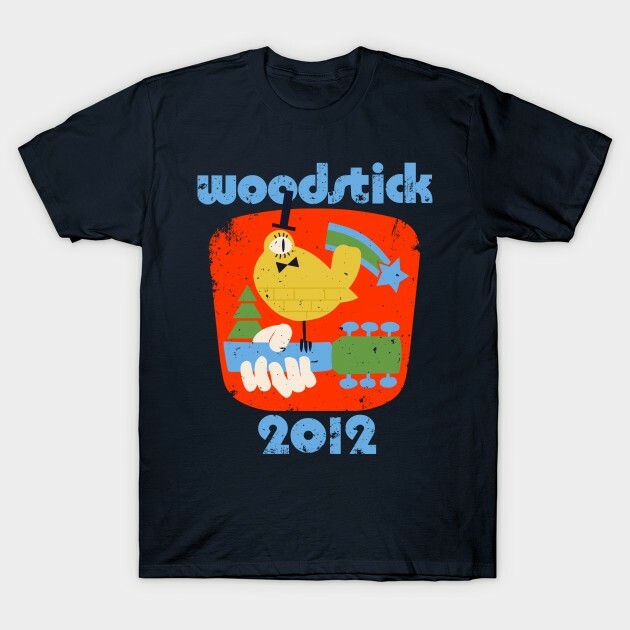 One of the earliest things I did when I learned how to create with Flash was a bunch of t-shirt designs I submitted to a brand new website called Threadless. Am I aging myself yet? History, books, film and pop culture in general (especially animation). I like to make designs that take you a minute to figure out the joke. A funny design that makes you think is the best kind. Usually, I like to start with something I really like and think about something clever it could be mashed up with. Sometimes inspiration just strikes at random and sometimes I’ll start a design, forget about it, then discover it months later and finish it. That happens a lot. I have a folder full of designs waiting to be finished. Can you give us a tl;dr for your Pop Culture Carousel? Carousels are one of the most beautiful things humans have ever made if you think about it. We created this work of art that has no purpose other than kids ride on it. The old ones were handcrafted wooden masterpieces. I wanted to mash up the real art of the Merry-go-Round with nerdy bits of pop culture to kind of give the Carousel an image update. To be looked at with new eyes so to speak. 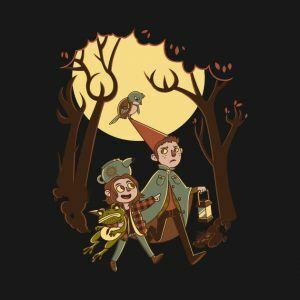 I started way back submitting designs to Threadless and eventually, after many tries, I got my first design accepted by TeeFury. I did it as a hobby so I never really expected to have a design accepted but when it did I was like…whoa…I should keep doing this! So I have and I’ve had shirts on three different daily sites now. 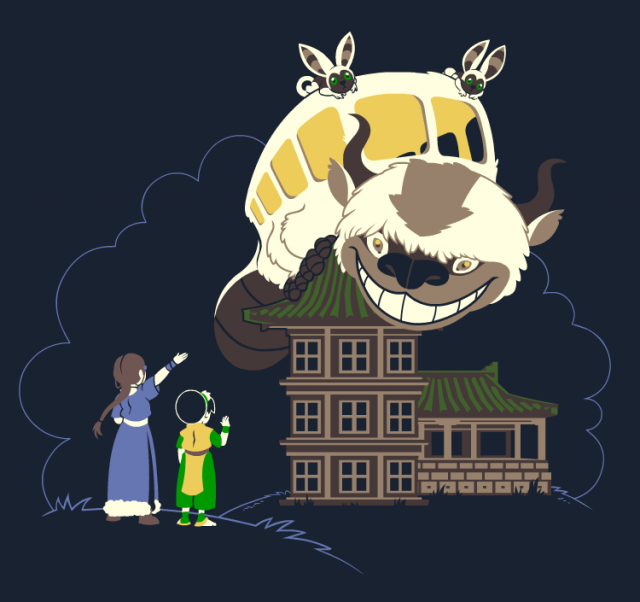 It was a My Neighbor Totoro shirt for TeeFury and it sold over 800 shirts over the course of a day. It BLEW MY MIND. I couldn’t believe that many people would be wearing something I made. All my co-workers and family own a copy of that shirt haha. Which other daily t-shirt sites do you submit your designs to? ALL OF THEM. Honestly, I’ve had more rejections than you can imagine but I don’t mind. You keep plugging away. You sell your designs on TeePublic and Society6. 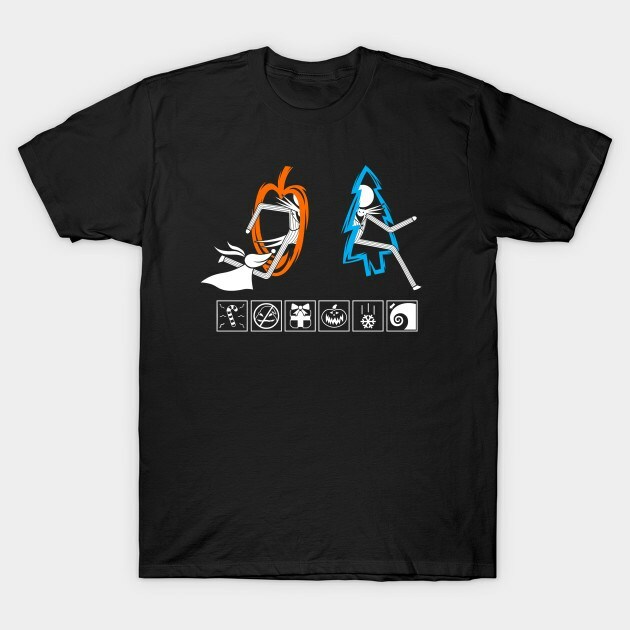 TeePublic for both. The only problem I’ve run into was a takedown notice on two shirts on Teepublic but that was by no means their fault and they were immediately responsive to my questions. 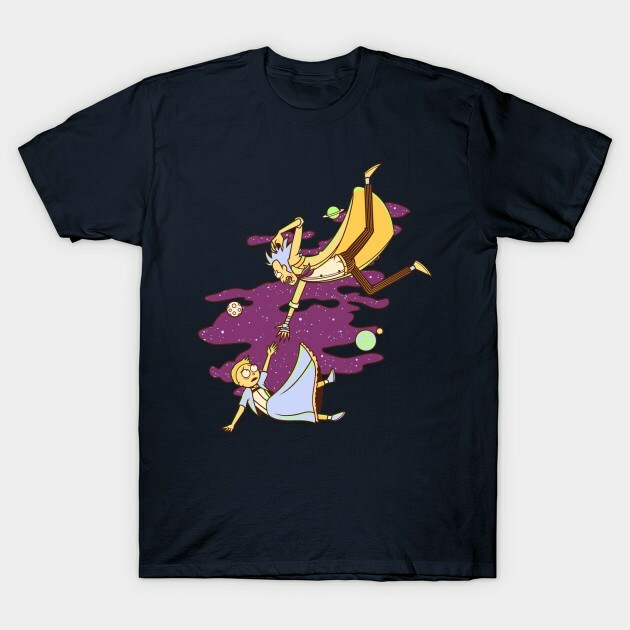 I prefer Society6 for paper prints but Teepublic for shirt designs. I recommend both for the quality of printing. 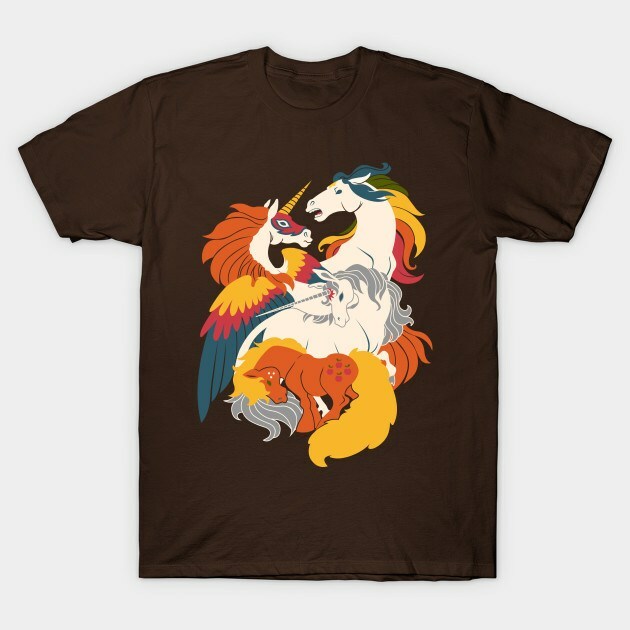 It’s funny but my best selling shirt on TeePublic, The Four Horses of the Nostalgialypse, is probably my favorite. When I first made the design I couldn’t get any of the daily sites interested in it. In the early days, the shirt designs picked tended to feature movies/shows aimed at a male demographic with few designs that tugged at lady nostalgia. That’s changed in a big way now but I put the horse design away because I started to doubt myself on it. 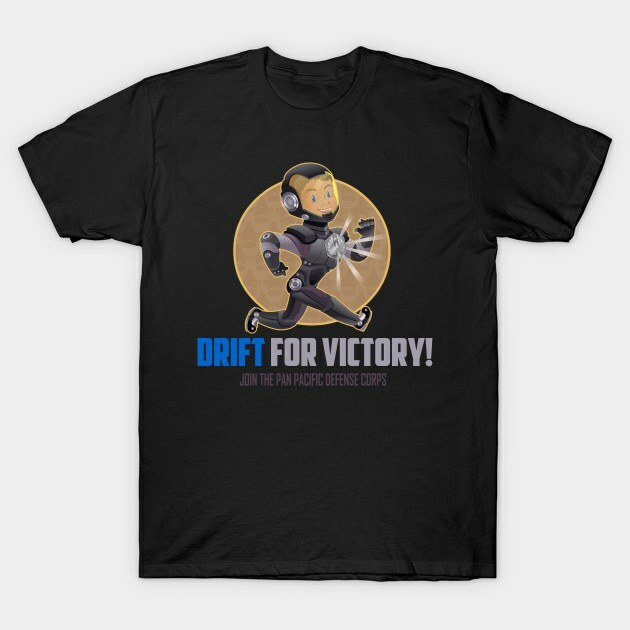 A few years later I pulled the design back out and revamped parts of it to make the design more cohesive and it literally is my best-seller on my TeePublic store. The lesson to take is that sometimes larger companies don’t see the potential of something but if you love it you stick with it because most of the time you’re probably right. Have you tried RedBubble, Design by Humans, or NeatoShop? I haven’t but I’ve been seriously considering Design by Humans. I like the vibe they got going. I might do that in the near future. It’s funny because I’ve been asked to design shirts for professional clients and often they are for intense sports events like Triathlons but I still get a sample shirt after it’s printed. Someone just taking a casual peek in my closet would think I ran marathons on the regular. Are you ready to have your mind blown? I don’t use either. I use Macromedia Flash for all my designs. I think the program has way more versatility for line-work than Illustrator does but you can still create a vector design that’s easy to export and resize, unlike Photoshop. Personally, I think Flash (which is now called Adobe Animate) is the best of both worlds. I also have been using it so long professionally I can pump out work really quickly. I am not worldly but I’ve been to Disneyland like seven times? That’s about as exotic as it gets. I’d actually really like to visit Iceland someday. It looks so beautiful there. I adore Louis Roskosch’s work. His Totoro Bigfoot shirt is one of my favorite designs of all time. Also the work of the indie companies Maiden Voyage and Unicorn Empire. If you’ve never seen their work you should check it out. Otherwise, I have so many shirts by different artists I don’t even know where to start. I haven’t but man Louis if you ever see this I’d do a shirt with you in a heartbeat. Well you know what I’ve already gushed about him you should contact Louis and see if he would be into it. I would love to see an interview with him. Do shirts about things you like. Don’t try and do things just because they are popular or you think people will like them. Doing that makes your work feel forced or you’ll get bored with it. If you’re making a shirt design you really like but you’re discouraged because you think nobody else in the world will wear let me tell you you’re wrong. If you make something good people will love it and they will wear it. Everything you love has other people who love it too. Also sometimes a joke/pun you think is really stupid? People will think it’s HILARIOUS. ALSO. Before you do a design you should google and see if another artist has done it but even if they have and you think you can do it differently? Do it. Don’t be discouraged just do your own thing and try not to worry too much. Don’t psyche yourself out. I’ve been rewatching One Punch Man on Netflix because it’s amazing and I’m trying to figure out how to make a design for it. Everybody, you should watch One Punch Man. Even if you’re not an anime fan I promise it’s good. I recently went to see Rifftrax (the mst3k vets) making fun of the camp classic Samurai Cop. They always put on a great show.